Ecology can survive without economics but economics can’t survive without ecology. M K Kailash Murthy had learnt this the hard way. 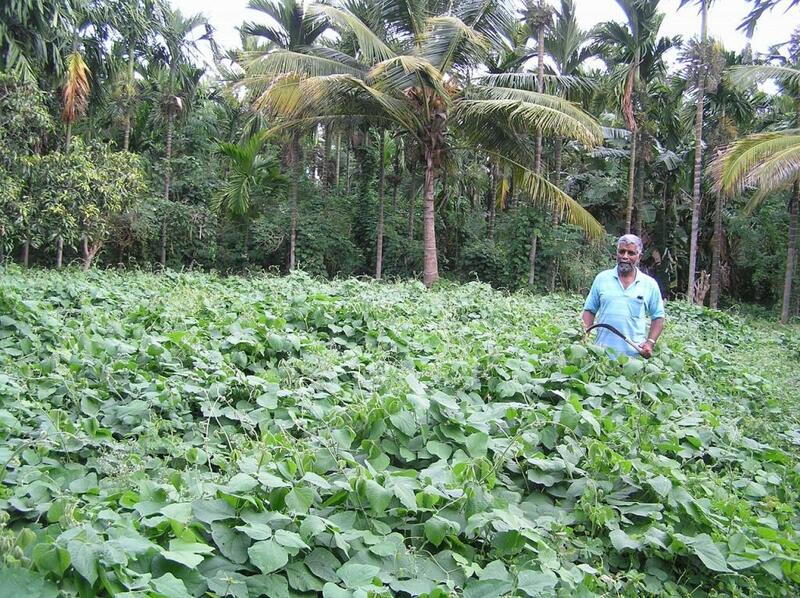 A banker-turned-farmer in Doddinduvadi village of Chamarajanagar district has turned a farmland of 22 acres into a mini forest in one of the most drought-prone regions in the state. At a time when states like Punjab are calling for reducing use of pesticide and chemical fertilisers, Murthy’s experiment with natural farming stands out as a model for every small and marginal farmer in the country. Murthy began practising chemical farming in 1984. Within a span of four years, he realised the ill-effects of biodiversity loss. Soil fertility started depleting and plants started demanding more water and fertilisers. “Farmers must understand that pests are natural occurrences. Left alone, the crops develop a resistance to them. Merely spraying crops with pesticides will not put a check on pests. Initially, it may seem to work, but in the long run the pests become immune. That’s what happened to me in the initial years,” says Murthy while talking to Down To Earth during his recent visit to Delhi. 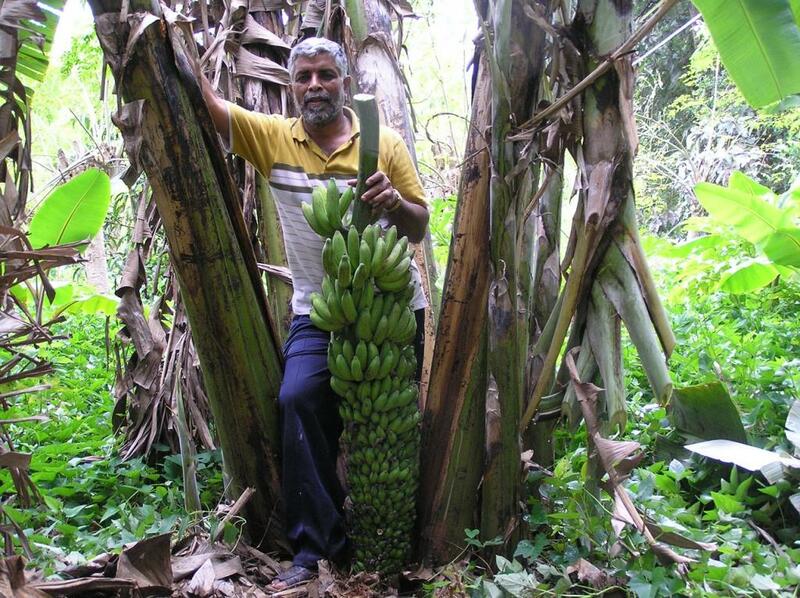 Inspired from Masanobu Fukuoka, a pioneer in natural farming in Japan, Murthy switched to natural farming in 1988. Almost 30 years have passed since then and Murthy hasn’t ever used chemical fertilisers or pesticides. Even today, he follows no-tilling and no-weeding approach. “For cultivation, I don’t even use organic manure like panchagavya and jeev amrita. I am only using photosynthesis,” he says while substantiating his claim of practicing zero-input farming. 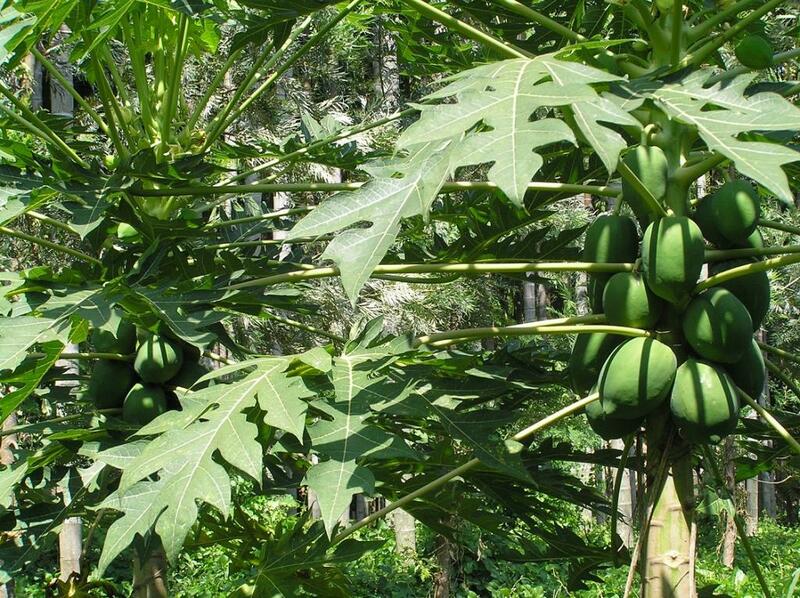 His farm now has a total of about 3069 trees, including beetle nut, mango, banana, val beans, papaya and a wide number of herbs. If Murthy is not using pesticides, how is he tackling pests? “It is elementary science that teaches us how plant produces its own food and develops resistance for pests. Moreover, nature will never allow one species to rule the world,” answers Murthy. Explaining the benefits of crop diversity, he adds, “When you grow different types of vegetables, plants and fruits, each crop becomes less susceptible to pests because the latter will have more natural enemies to check their growth,” says Murthy while referring to a phase of his life when he identified trees that are harmful for banana cultivation and introduced “enemy trees” to kill those trees so that banana plantation can thrive. In his banana plantation, the banana canopy covers the area underneath, and in the process, protects, promotes and supports soil microbes. The organic matter falls from banana-supporting plants, which becomes food for the microbes. Moreover, water evaporation is avoided because the surface of the soil is covered. Thus, soil moisture is retained. Murthy has also established the Academy of Natural Farming near Kollegal taluka with the sole objective of bringing awareness about ill-effects of fertilisers and benefits of going back to natural farming. He, along with Prof M D Nanjundaswamy, is working towards popularising zero-input farming in and around Karnataka by showing people how natural helps fighting climate change and maintaining genetic stock. He is also perhaps the only one in the country to run a solar-powered food processing plant near his farm. Few years back, he invited experts from agricultural universities and research centres across the country to study his farm and identify its merits and demerits. They found the plants healthy with no visible symptoms of any deficiency or disease. 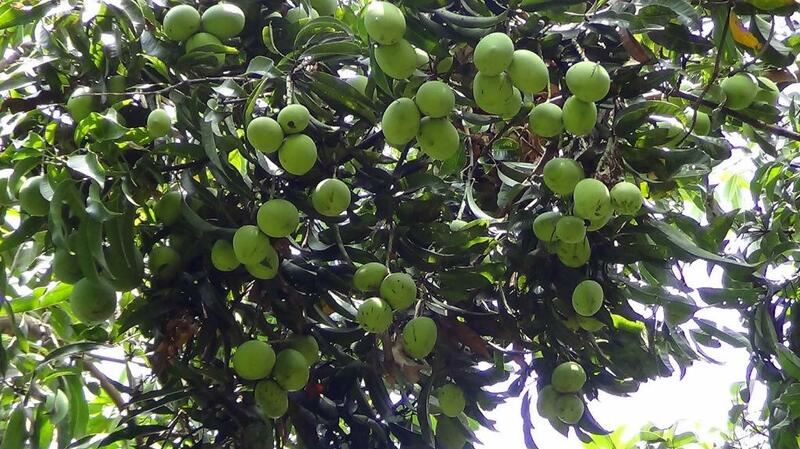 M N Ramesh of University of Agriculture Science, Bangalore, acknowledged that all the horticultural plants in Murthy’s farm are free from pests, bearing lots of healthy fruits and nuts. More than 138 species of herbs and trees, belonging to 28 families, are growing in harmony like a forest ecosystem by using only sunlight. According to the scientists who studied his farm, a thick layer (about 9 inches) of leaf litter produced by the weeds and falling leaves and twigs from the tree species are very efficient for mulching and preventing soil erosion. Moreover, the weeds and fallen leaves go through natural recycling by soil organisms like earthworms, insects and fungi found in the soil. Rainwater trickles down to the roots and recharges ground water aquifer. Carbon sequestration, according to experts’ estimate, is about 1085 tonnes annually by trees species. According to the soil analysis by Dr N Nandini, Reader and Principal Investigator, Department of Environmental Science, Bangalore University, samples from his land showed that the soil has high NPK (nitrogen, phosphorus and potassium) content apart from adequate quantity of micronutrients like nickel, zinc, iron, copper and magnesium. Over 300 horticulture trees and timber trees in his farm prevent raindrops from directly falling and checking soil erosion. But, is his farm insulated from impact of climate change? While talking to him, one can realise that he is not just concerned about his mango trees, but also the microbes and insects dependent on mango trees. “You can imagine what these tiny creatures have to go through to adapt to these changes. They have to undergo a complete lifecycle change to survive and help the next generation grow,” he rues. Adopting natural farming becomes relevant in present times because marginal farmers are increasingly looking to reduce their input cost and is not incurring any loss but making profit all these years. I can remember the quote ​"A Healthy Ecology is the Basis for a Healthy Economy" said by 'Claudine Schneider'. Its really inspiring! Hats off to you Sir!! Mr. Murthy's experiment may be forward path for people use hazardous chemicals and furtilizers for reaping agriculture products. 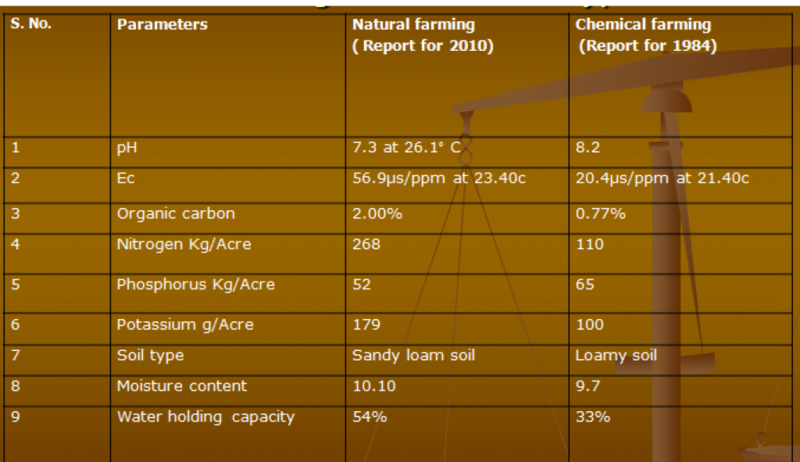 Many people are not aware.of after effect of chemicals on soil and impact on ground water. Please share contact details of Mr. Murthy for reaching his farm. It is amazing... still a little confused about the success of this method in otjer parts of our country.. If it is possible, it can result revelutionary effects in sustainable development ..
Hello sir... I am really impressed by your work. Can you please share the details of economical outputs from the farm and where is the market for these natural products. will it gives better returns to the farmers in terms of money also? And can it be feasible for low land holding farmers to practice natural farming? Narural farming is viable process in forests or in mixed crop fields, where beneficial microorganisms and exudates inter act with soil and allow mixed plants to coexist and grow with proper development for yielding economical results , over some period.All the trick is raising of synergy crops or plants nearer to each other. Pulse crop can fix Nitrogen from air and supply the same to nearby coevolving or friendly plant/ crop . Nature takes care of Natural Farming. Oh thanks for zero tolerance move. Congrats. The world population is endangered by eco-pollution in divers ways. Safer still if all of us keep of chemicals that are destroying our ecology and health too. It's now or never. I am glAd to see your article on DTE.. FARMERS JUST NEED TO FOLLOW YOUR WAY OF FARMING TO CONVERT THE NATION INTO A ECOLOGICALLY , ECONOMICALLY AND ENVIRONMENTALLY SUSTAINABLE ONE... I WILL JOIN HANDS WITH YOU SIR FOR THE BETTER FUTURE OF OUR LIVES.. KEEP THE GOOD WORK GOING..
We are young group of professionals, involved in agricultural products by help of organisations like ICFA & card. We have started manufacturing vermicompost by cow & buffalo dung, for that we have taken eisenia fetida .we are selling worm's also. So, for that we have request you to please give us a opportunity to provide the same. First of all i would like greet you with great Honor by wishing you with all respect, "Hats off to you"SIR. It was a great experience when i met you in person at your site, & You are One of the Role Model for a common farmer, who is totally depending upon his land to grow the crops at every season by totally depending upon the natural resources. But you the "Man of Naturals" find a better way of cultivating the land & make use of it by your own way NATURALLY FARMING, Its INCREDIBLE to all farmers across the world. I Humbly request to join hands to educate all our farmers the "BACK BONE OF INDIA" in this growing WORLD of population, to ulitilse this golden opportunity to cultivate their own land & make use it & benefited at all times.